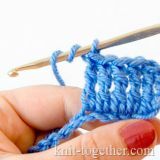 Knit Together | Crochet Shell Stitch 5, detailed description and crochet chart of this pattern. 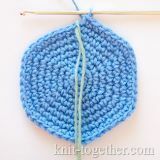 We recommend you to crochet this lacy shell stitch pattern using thin yarn. 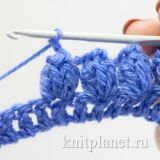 The pattern can use for crochet dresses, blouses, lacy scarves. This pattern is two-sided. The repeat (rapport) of the pattern - 10 loops by width and 6 rows by height. 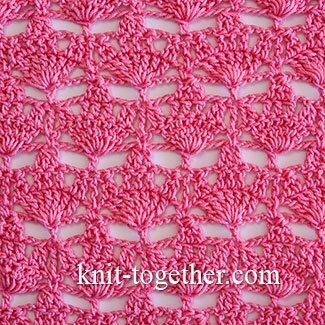 To crochet this pattern we make chain stitches a multiple of 10, plus 6 chains for the symmetry of the pattern, plus 1 turning chain. Then the pattern repeats from 1st row. 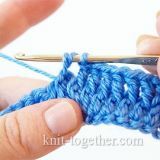 Cluster Stitch. Two double crochet with common top (dc2tog). 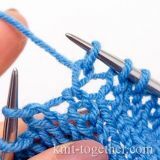 Cluster Stitch. Three double crochet with common top (dc3tog). 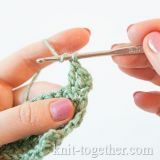 We offer to your attention a video tutorial: how to crochet this shell stitch pattern. Don't forget to subscribe to our channel on YouTube!